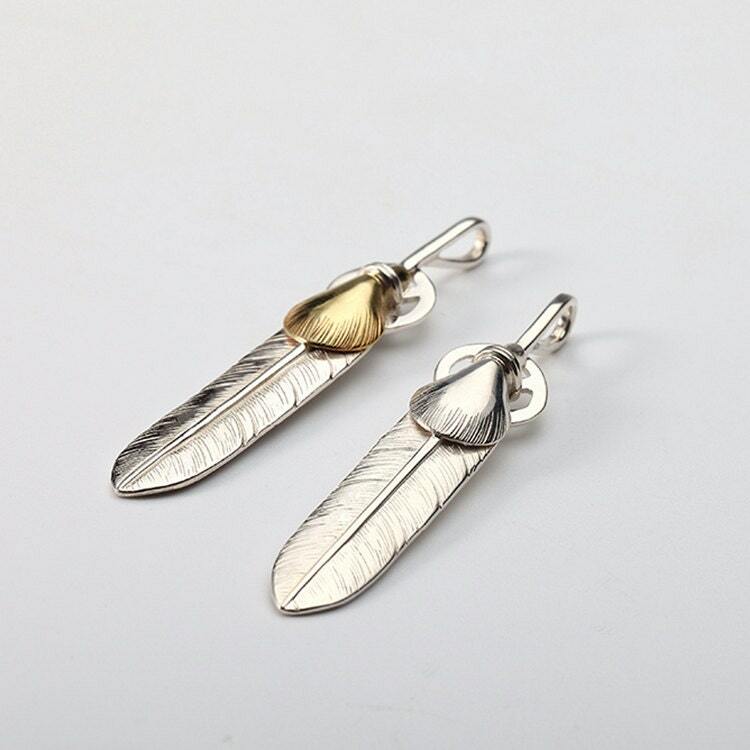 This silver feather pendant is inspired by Native American feather jewelry designs. Crafted as a double feather charm - with a larger silver feather base forming the base, and a small feather charm tied to it at the quill. The silver wire that joins the two feathers together also passes through a small cross loop. 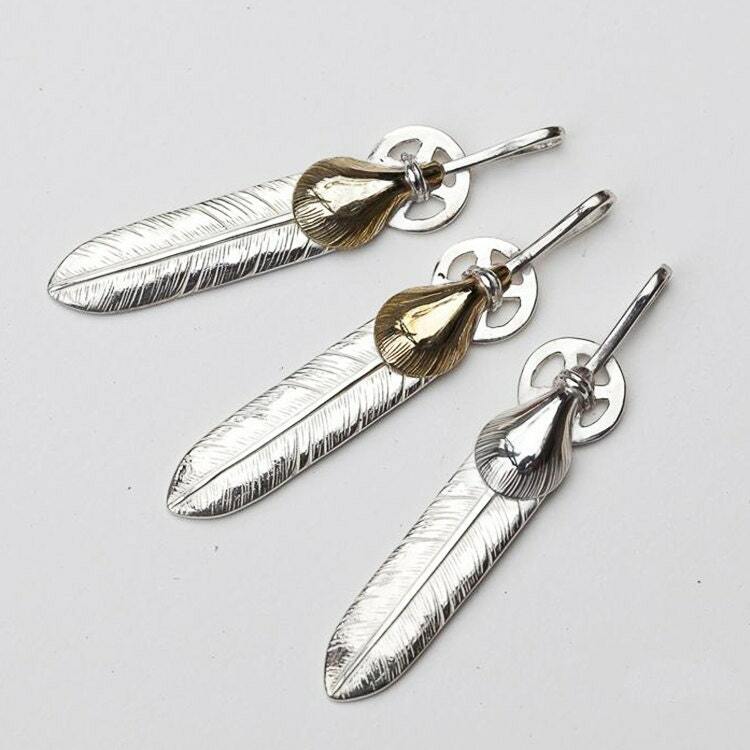 The feathers are crafted in simple lines - especially the small feather charm with its minimalist outline. 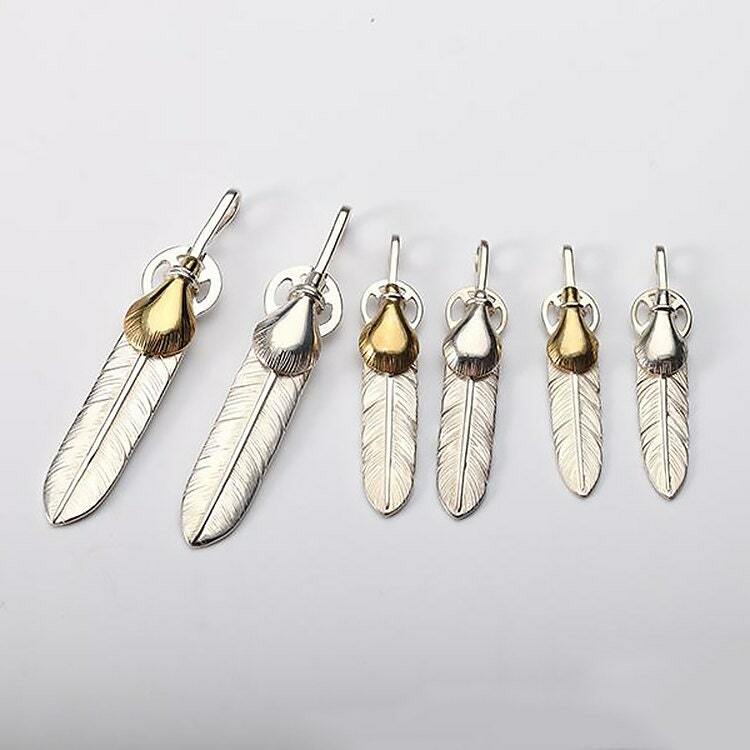 The upper small feather charm is available in choices of silver, brass, and 18K gold. 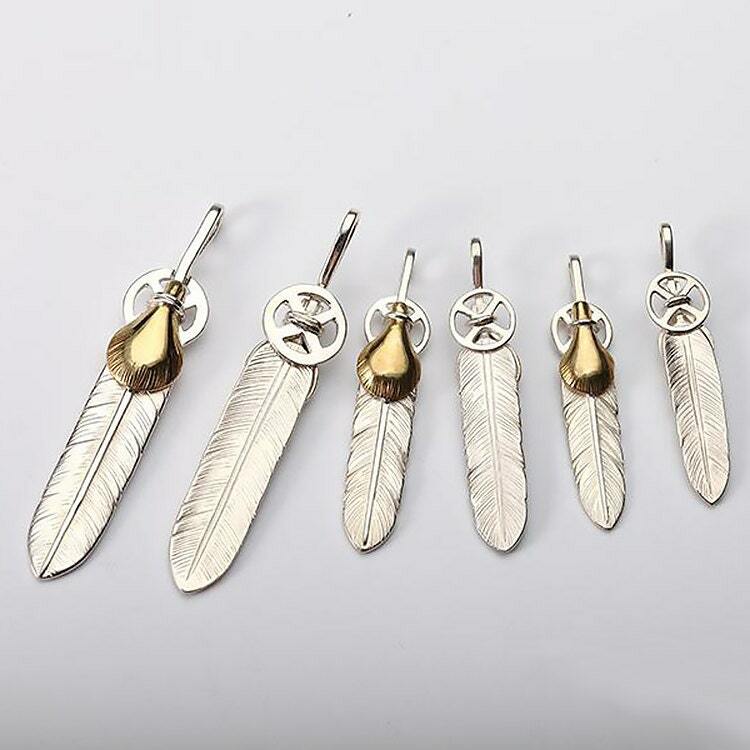 The combo feather pendant is available in 3 different sizes - S, M, and L.
In all the pendants, the quill is shaped into an aperture that can take a silver chain up to 3 mm. For fitting with thicker chains, we include a FREE silver loop with all orders. Note: Sold in single. 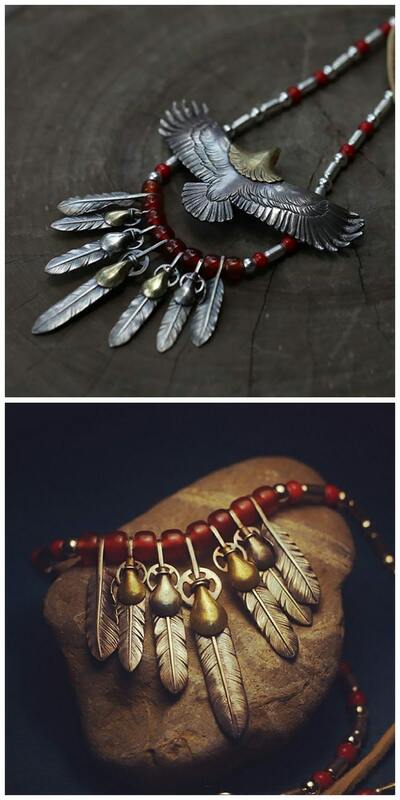 We will not stamp our logo or the materials we use on this combo feather pendant due to the space limitation. Necklace and other pendants shown in the pictures ARE NOT Included, available for purchase separately.